What is it, what does it do, and who does it affect? In February 2013, we published a report on cannabis allergies that described the basic concept and a little of the scientific theory behind the phenomenon. Since then, it seems that a great deal of research has gone into the issue, no doubt due to the relaxation of laws in Colorado and elsewhere, which has necessitated a closer look at workplace safety for thousands of newly-legal employees. The concept of cannabis allergies seems to be anathema to many within the industry, who apparently believe the best route to legalization to be to trumpet the positive potential of the cannabis plant while completely ignoring any potential downside. However, anyone who has physically worked in grow rooms for long enough can attest to the fact that many people get miserable and itchy when exposed to plants for too long. So what is cannabis allergy? Cannabis allergies are most often reported to be similar in presentation and symptoms to contact dermatitis, and are most commonly reported by individuals in direct contact with the growing plant. Such individuals typically report itchiness and redness on skin, which can develop into a rash or hives in severe cases. The eyes may also become red, itchy and inflamed. As well as dermatitis-like symptoms, cannabis allergy can also cause respiratory symptoms including shortness of breath, inflammation of the airways, coughing, sneezing and rhinorrhea (runny nose). In some cases, it may also cause nausea and vomiting. In severe cases of cannabis allergy, anaphylactic shock can occur. Anaphylactic shock is characterized by the rapid onset of skin and respiratory symptoms accompanied by a drastic drop in blood pressure, which may also cause cardiovascular complications. 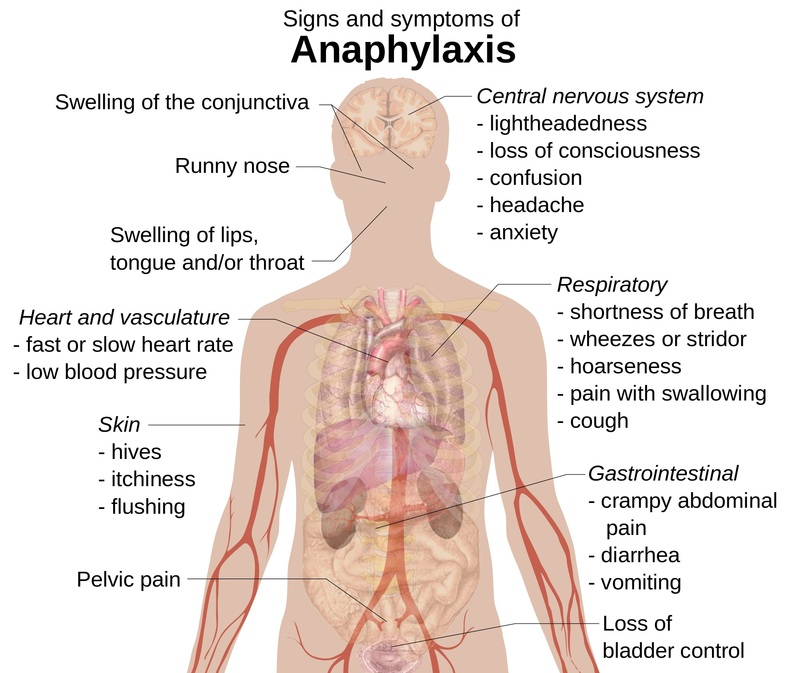 If untreated, anaphylactic shock can cause loss of consciousness and even death (although there do not appear to be any known deaths as a result of cannabis-induced anaphylaxis). First off, it is important to differentiate between true cannabis allergy and allergic reactions to substances found in cannabis that are not inherent to the plant, such as moulds or dust mites. It is well-known that poorly-grown and poorly-stored cannabis can contain both, and both are well-known to cause strong allergic reactions in many individuals. There have been several cases of severe reactions occurring in individuals who smoke mouldy weed, and at least one death has been attributed to it (although importantly, the individual in question was severely immune-compromised due to recent surgery). However, cannabis allergy itself is a specific allergy to a substance or substances contained within the plant. In fact, there are several substances that may represent a risk to sensitive individuals, and it may be that different cases of cannabis allergy occur in response to different substances. Let’s take a look at what they are. First off, we have cannabis pollen. This is typically only produced by male plants, but can also be produced by females that express hermaphroditic male flowers (and in severe cases of hermaphroditism, there can be a significant amount floating in the air). Cannabis and hemp pollen has been shown to cause allergic reactions in several studies, and individuals who show sensitivity to it typically also are sensitive to pollen from other plants. A study conducted in 2000 in the U.S. Midwest showed that 73% of the subjects were sensitive to cannabis pollen, and that each of those individuals was also sensitive to local plants such as ragweed, Russian thistle and cocklebur. However, this does not explain the cases of cannabis allergy that are caused by female plants with no signs of hermaphroditism. In these instances, something else is clearly to blame, and scientists have pinpointed almost a dozen possible culprits. Most of the possible allergens found in cannabis are proteins, and many of them have been found in other plants and have been confirmed to be allergens. Several studies have pointed to the existence in cannabis of a particular type of protein known as a lipid transfer protein (LTP), which are often implicated in allergies. Several studies into cannabis allergy have pointed to the existence of an LTP or LTPs present in the growing plant. One study published in 2007 actually reported that a unique LTP had been isolated in cannabis, which was subsequently named Can S3. In at least one study, patients have shown specific sensitivity to the substance described as Can S3 when undergoing skin prick tests and other immunological tests. However, in an important study published in 2013, the researchers did not find any evidence of a LTP protein present in cannabis. On the other hand, they found strong evidence of several other proteins that are confirmed allergens, as well as another protein that is not known in any other plant and has not been previously reported to cause allergies. In this study, “Characterization of Cannabis sativa allergens”, several other potential allergens for cannabis are isolated and identified. The researchers found that immune reactions occurred to several common plant proteins including one named RuBiSco, which is fundamental to the process in plants that converts carbon dioxide into glucose and other plant foods, and has been implicated in other cases of plant allergies. As well as RuBiSco, a protein known as oxygen-evolving enhancer protein 2 was found to be strongly associated with allergic reactions in cannabis. Interestingly, this protein does not appear to have been investigated in any other allergenicity studies, for cannabis or any other plant. Along with these two proteins, several other potential candidates were found: ATP synthase, GAPDH (a major known allergen in wheat and fungi), PGK (yeast allergy), BiP (hazelnut allergy), and heat shock protein 70 (fungus allergies). Individuals who are found to be allergic to cannabis are also found to be allergic to tobacco and tomato. This association has been noted on several occasions, and it has also been noted in a study published in 2011 that latex also has cross-reactivity with this group of plants. In a 2008 study conducted in Spain, it was found that cannabis-sensitive individuals were highly likely to be sensisìtive to tomato and peach. Interestingly, having a sensitivity to pollen does not necessarily mean that an individual will be sensitized to cannabis, and vice versa. In the 2011 study, it was found that pollen allergy was not associated with cannabis allergy itself. This implies that individuals can be allergic to only the pollen, or only the other allergens present, but that it is unlikely for someone to be allergic to both. In time, the knowledge that researchers gain from studying the allergens found in the cannabis plant will enable targeted therapies to be developed to reduce symptoms from the ground up, as it were. Now, it does not appear that there are any cannabis-specific medications out there for dealing with a cannabis allergy, but affected individuals may find that medicines intended to treat allergens with which cannabis has been known to have cross-sensitivity have a positive effect. Otherwise, there are various ways in which one can minimise exposure to cannabis allergens, in times that risk of exposure is high. High exposure risk is generally limited to workers in close physical proximity to the plants; however, as in the US southwest, pollen can sometimes cause high risk periods in certain areas at certain times of year, which can extend for miles. 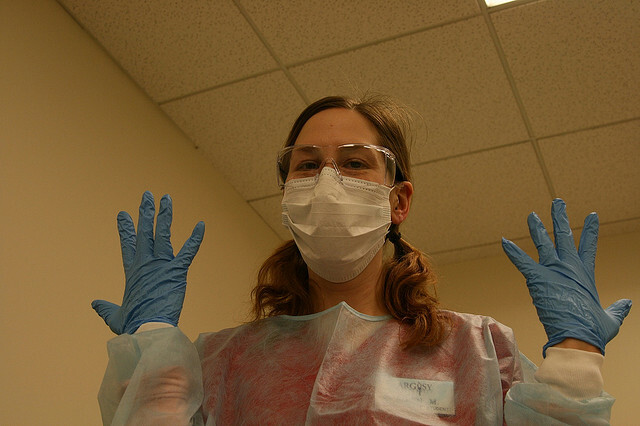 Wearing long-sleeved clothing is advisable, as well as masks, gloves, goggles, and other physical barriers to contact. Use inhalers, antihistamines, and epi-pens if necessary. Ensure that airflow is optimum, so that allergens do not hang around in the air too much. Finally, the best method for ensuring that allergic reactions do not occur is to avoid exposing oneself to the source as completely as possible. Many individuals that work with cannabis continue to expose themselves year after year in the hope that their sensitivity will decrease, but this is highly unlikely to be the case. If seriously affected, avoiding all physical contact and proximity to the plant is recommended, which may mean that continuing to work with cannabis is impossible for some. The post The definitive guide to cannabis allergy appeared first on Sensi Seeds English Blog.